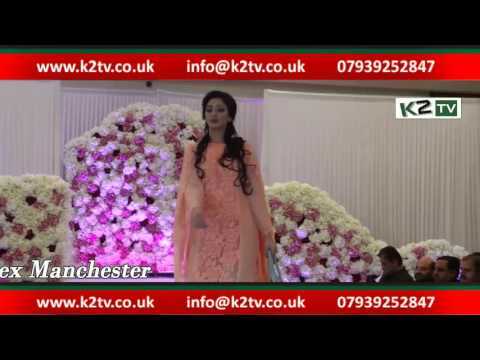 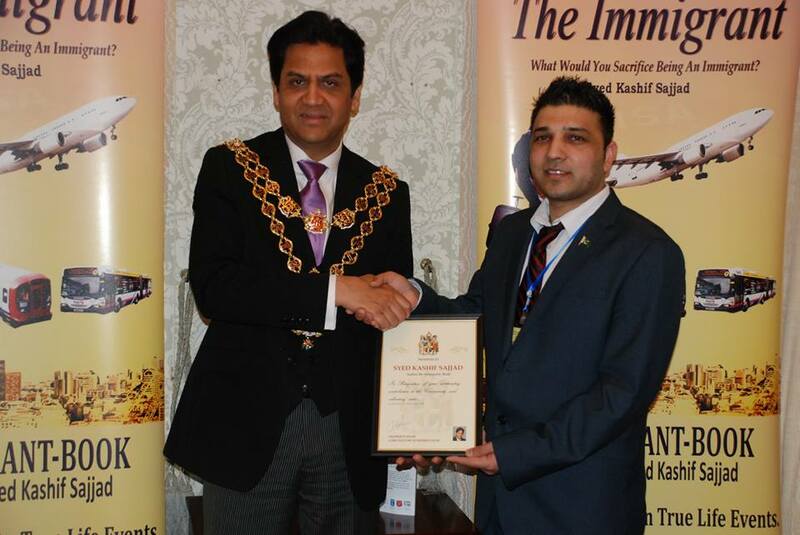 Director K2 Management Bizz Ltd Syed Kashif Sajjad received many Awards for his work for the community. 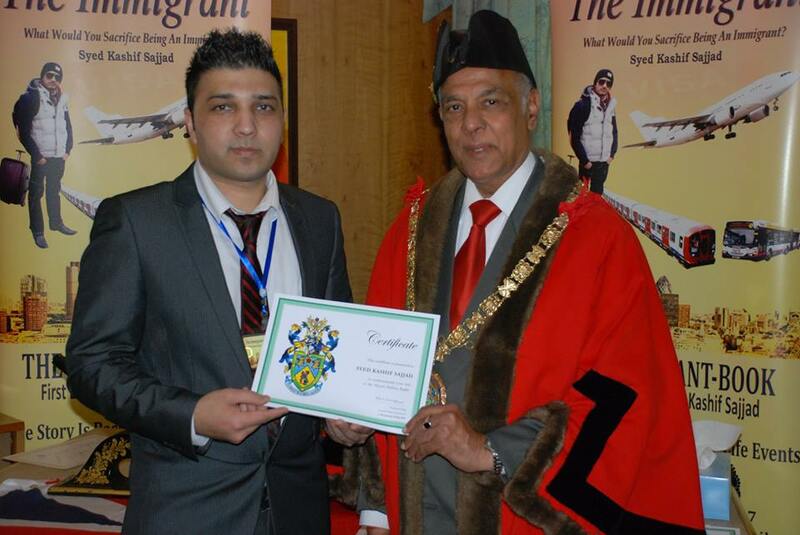 Syed Kashif Sajjad also a writer and he published his first book ” THE IMMIGRANT ” in June 2014. 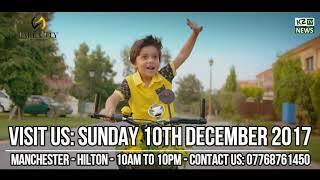 His story touched millions of hearts around the world. 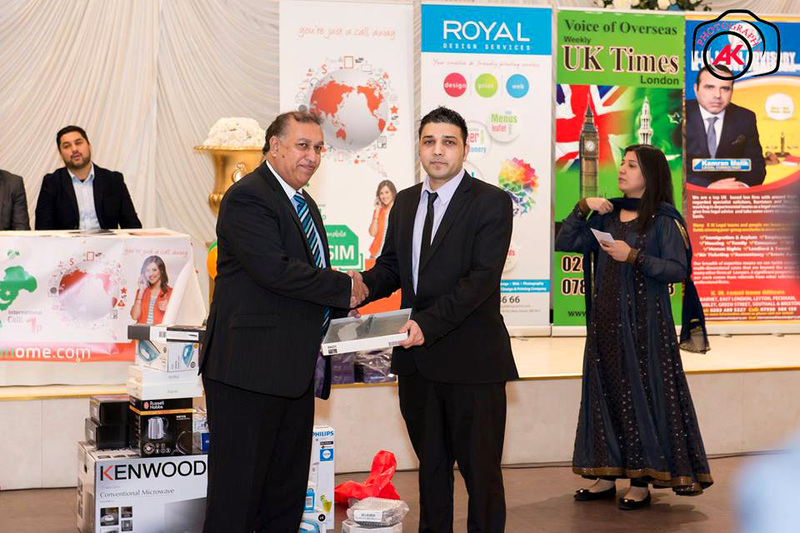 He organised many Book signing around the country. 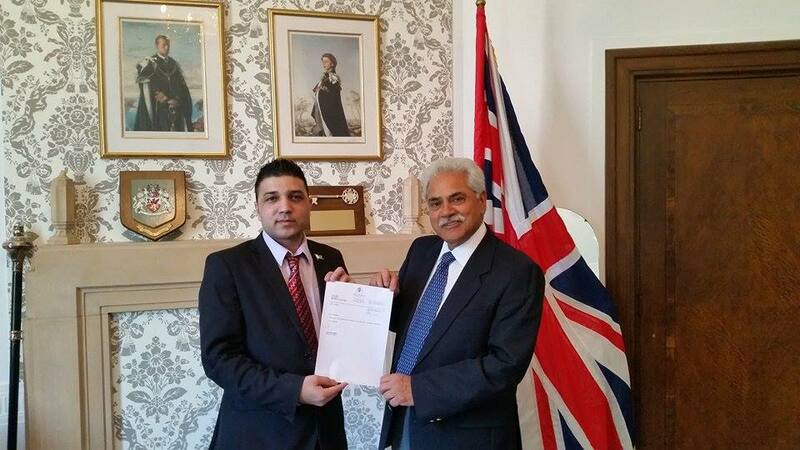 (United Kingdom). 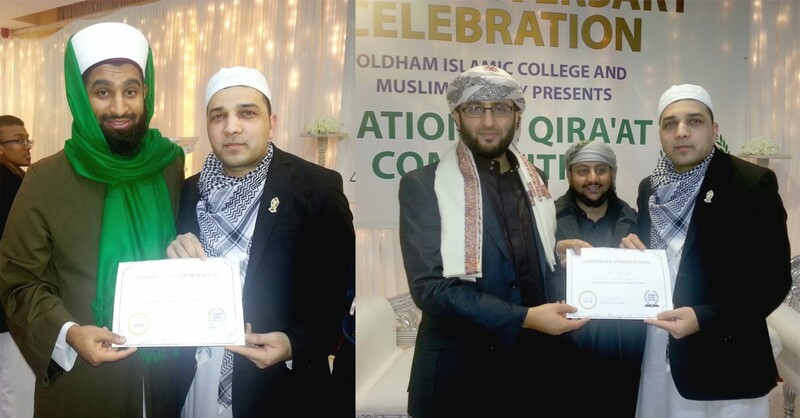 Some of the Awards are listed below. 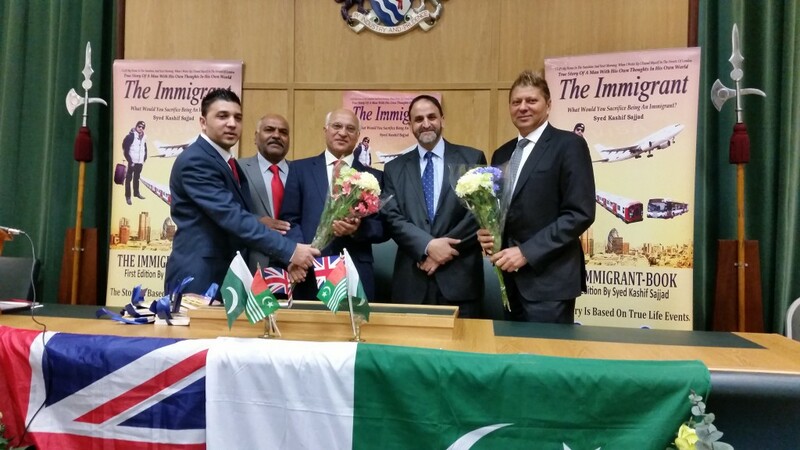 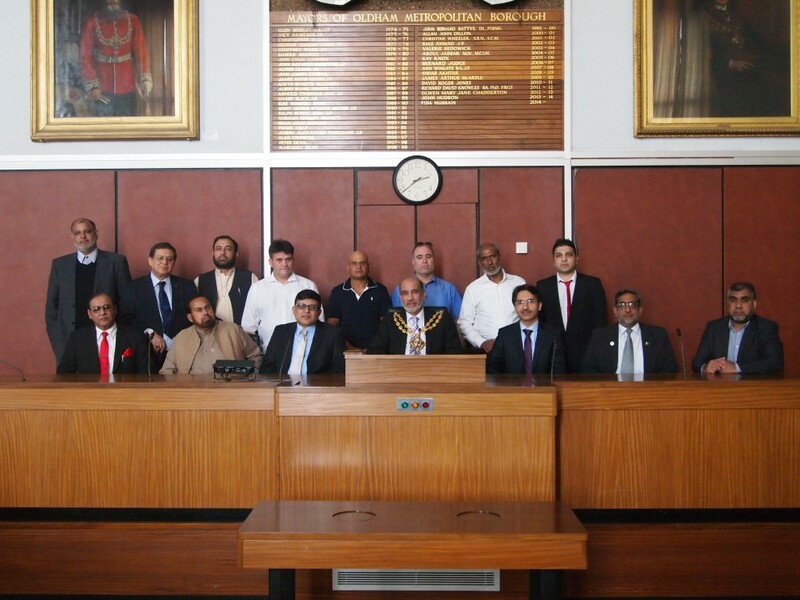 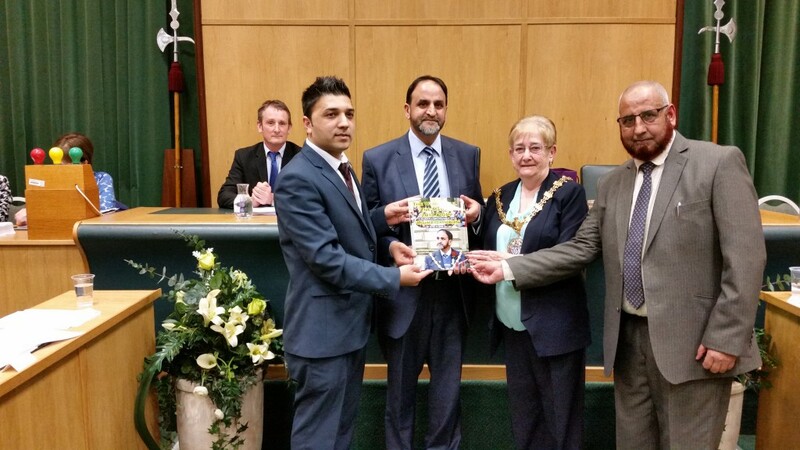 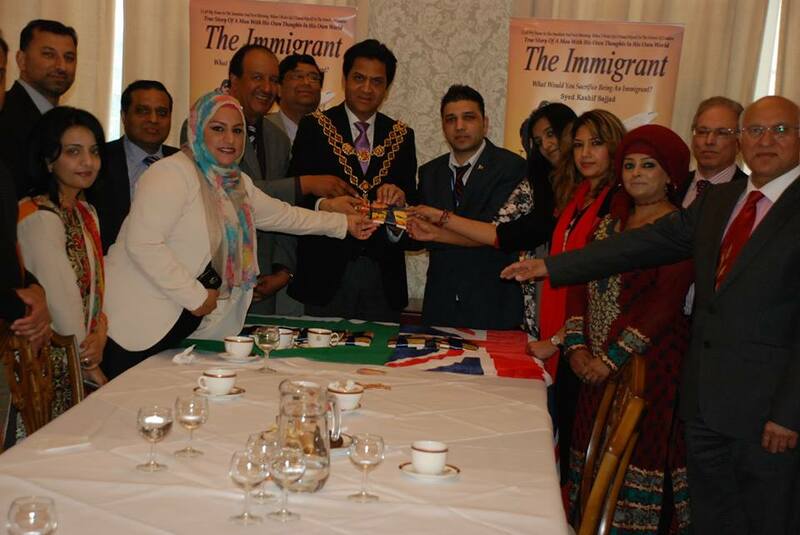 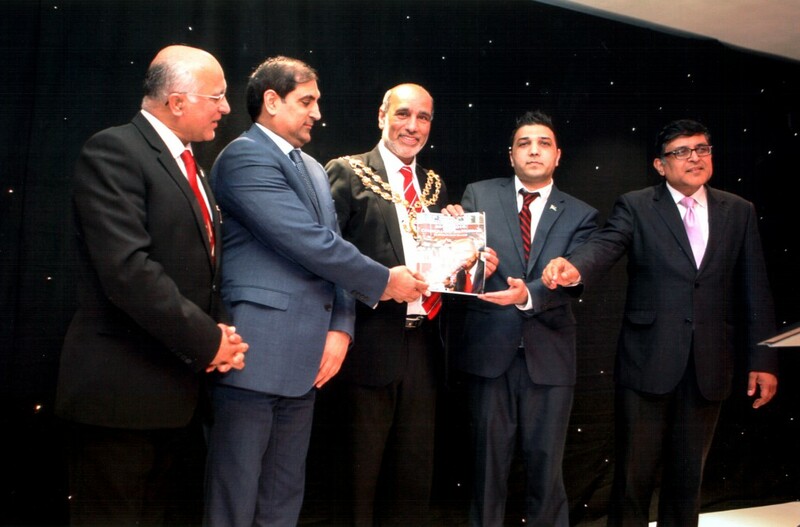 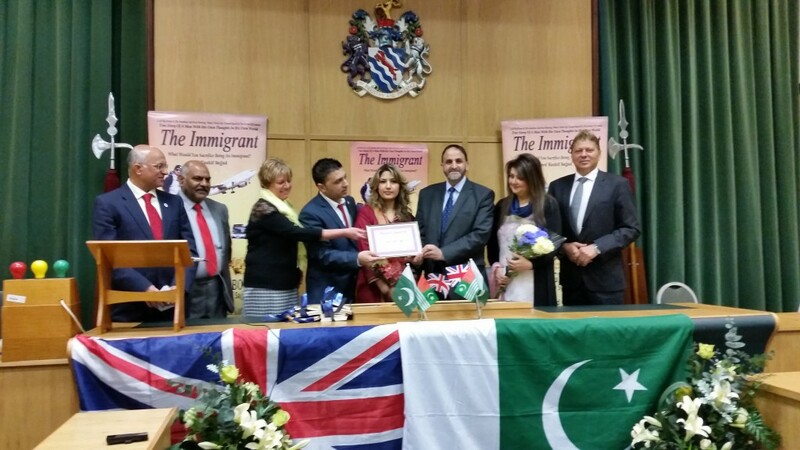 Young Writer Syed kashif sajjad presenting the Mayoral year Book to Mayor Cllr Fida Hussain ” The Worshipful The Mayor 2014/2015 Cllr Fida Hussain” in the presence of Honorable Consul General of Pakistan Dr Zahoor Ahmed,(Manchester Consulate) Ch Musarat and Dr Younas Parwaz. 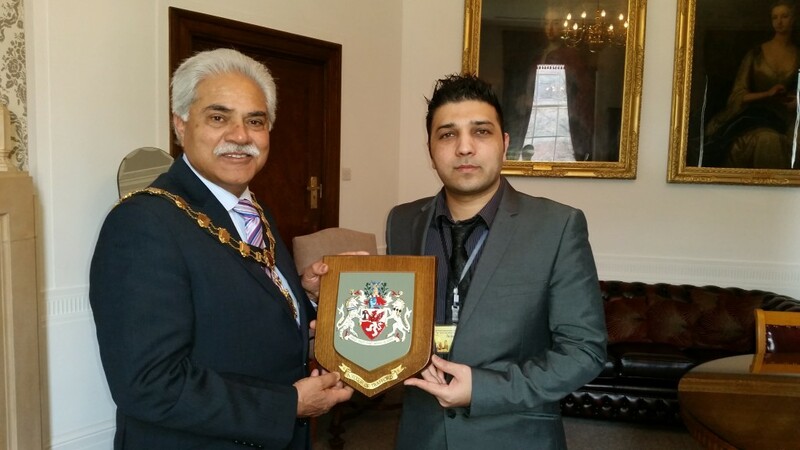 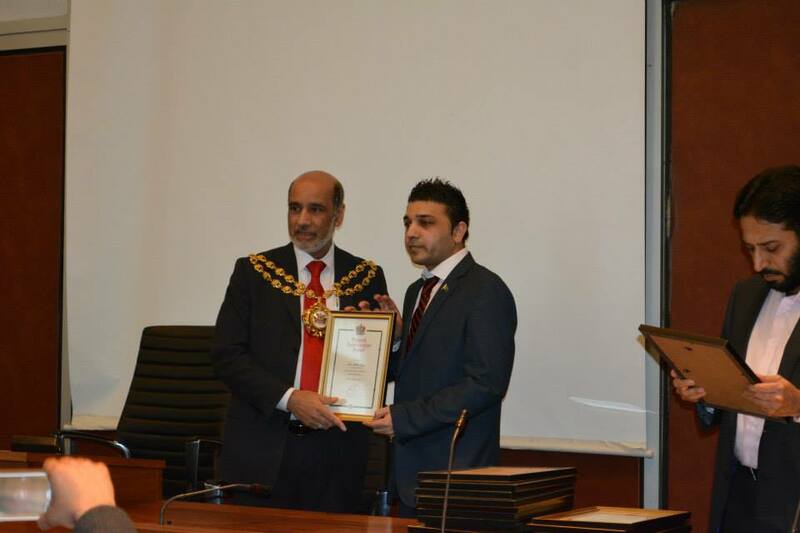 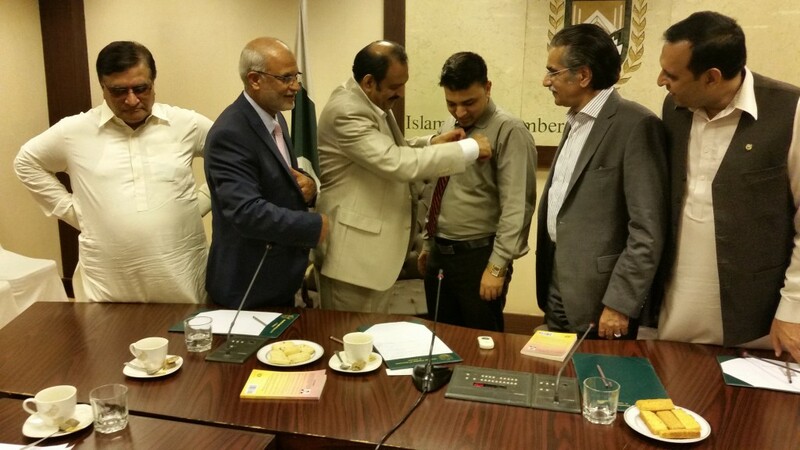 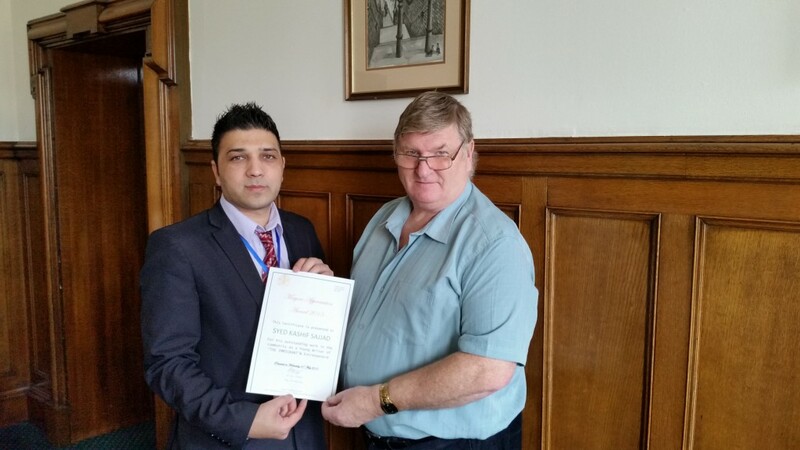 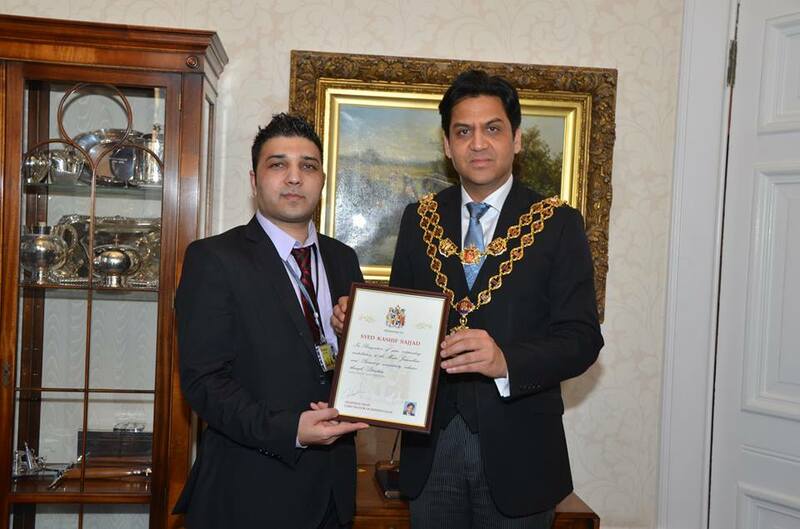 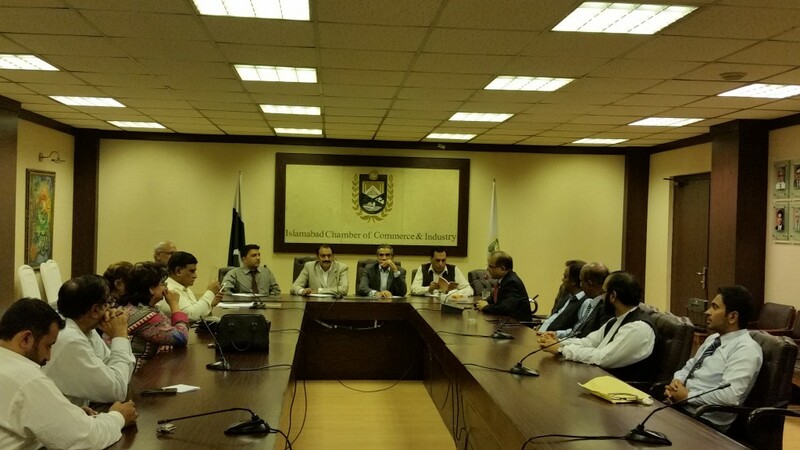 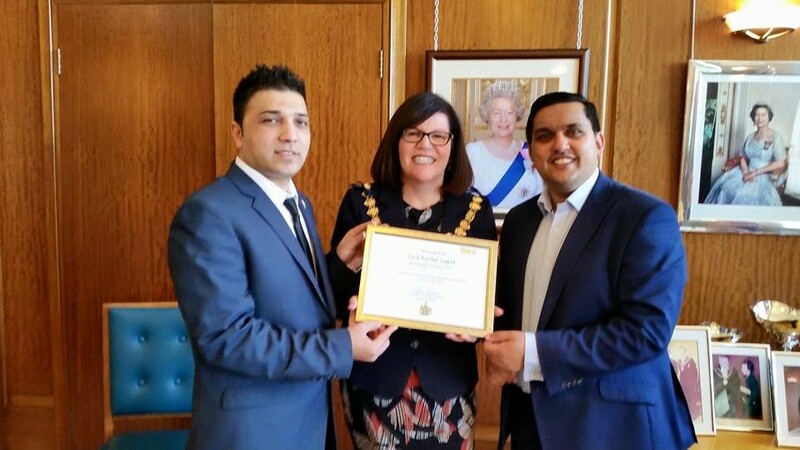 The Honorable Mayor Presented a Mayoral Award to Syed Kashif Sajjad for his work. 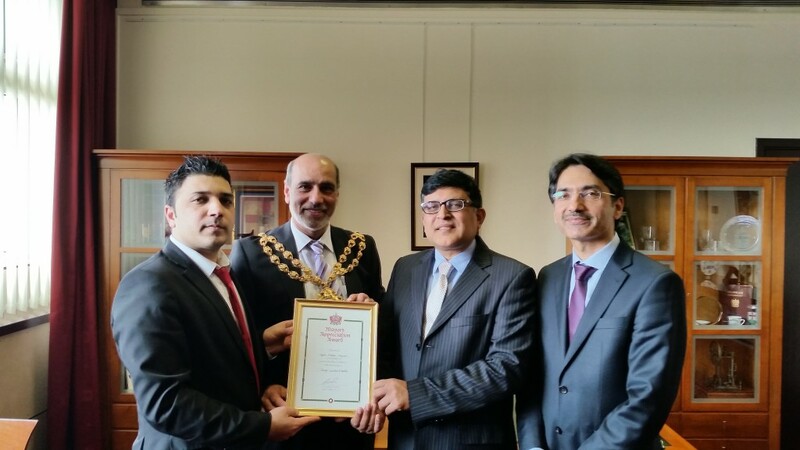 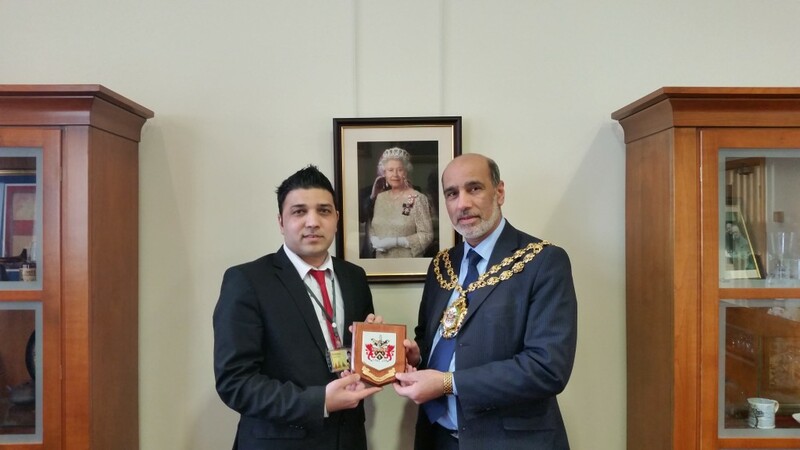 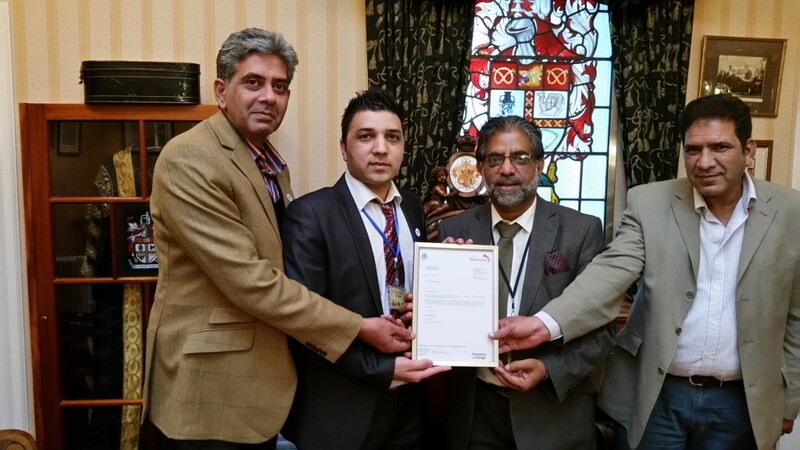 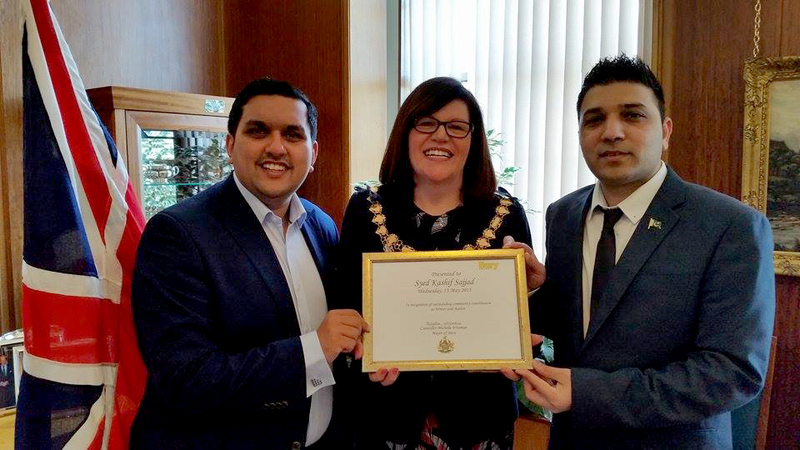 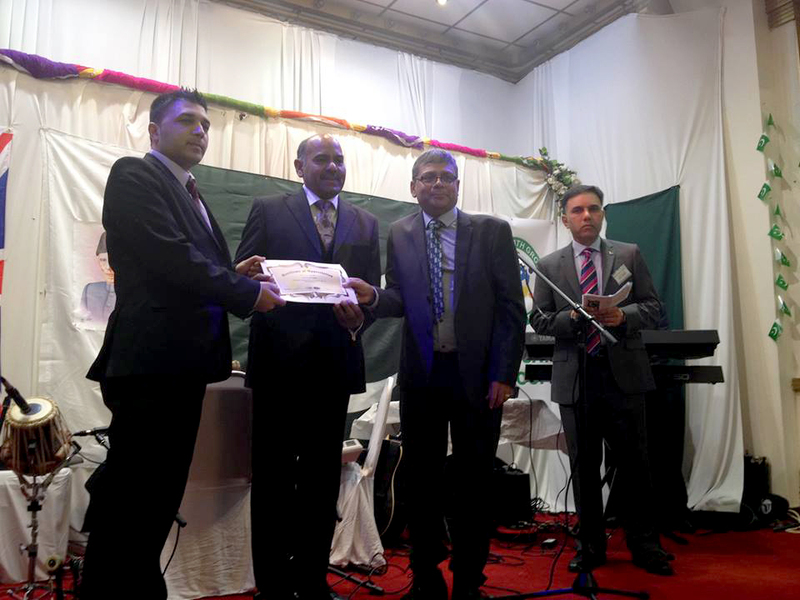 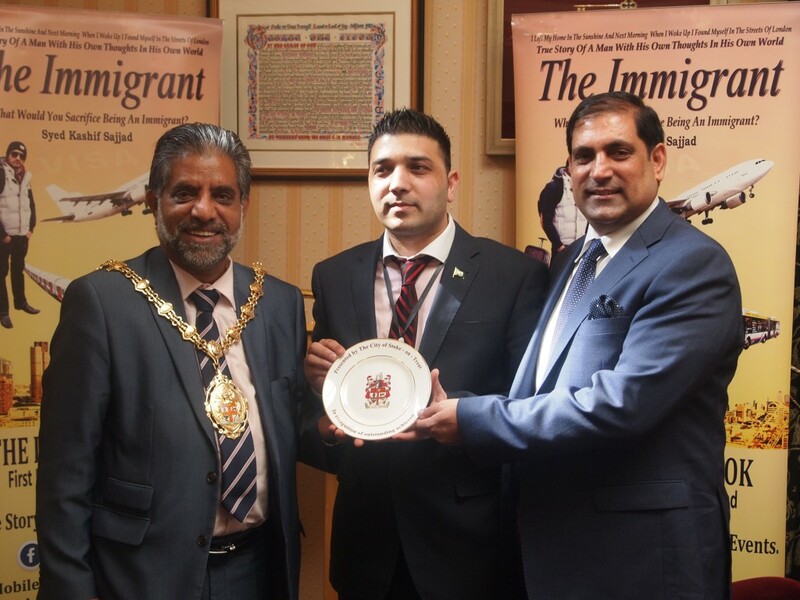 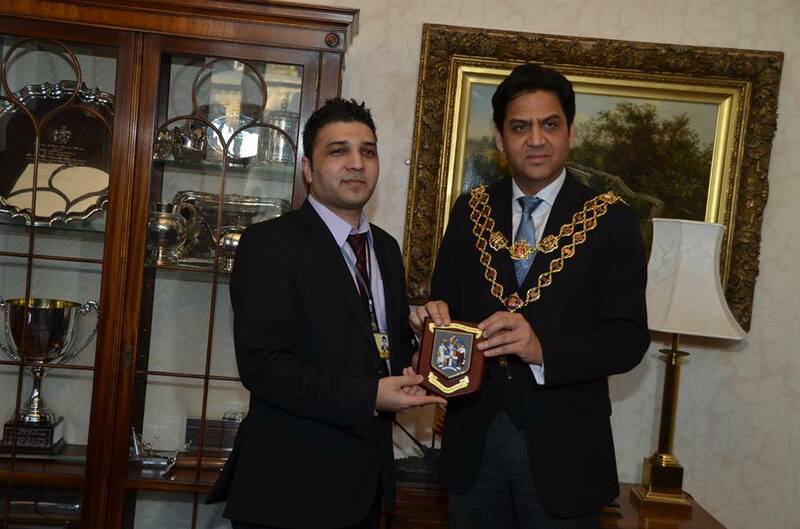 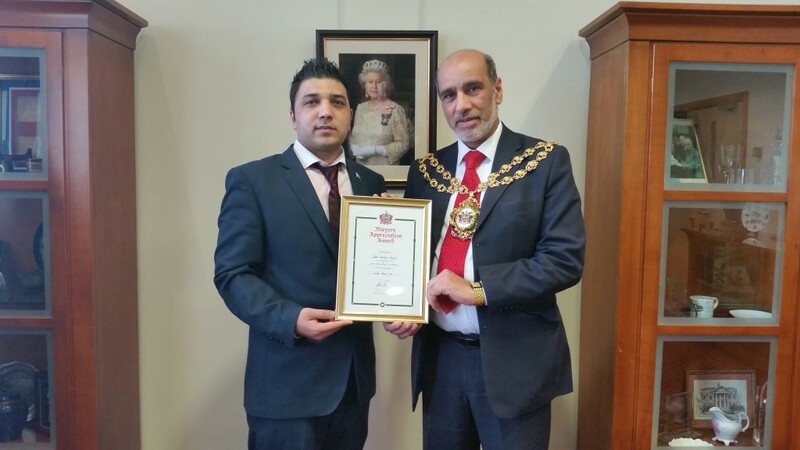 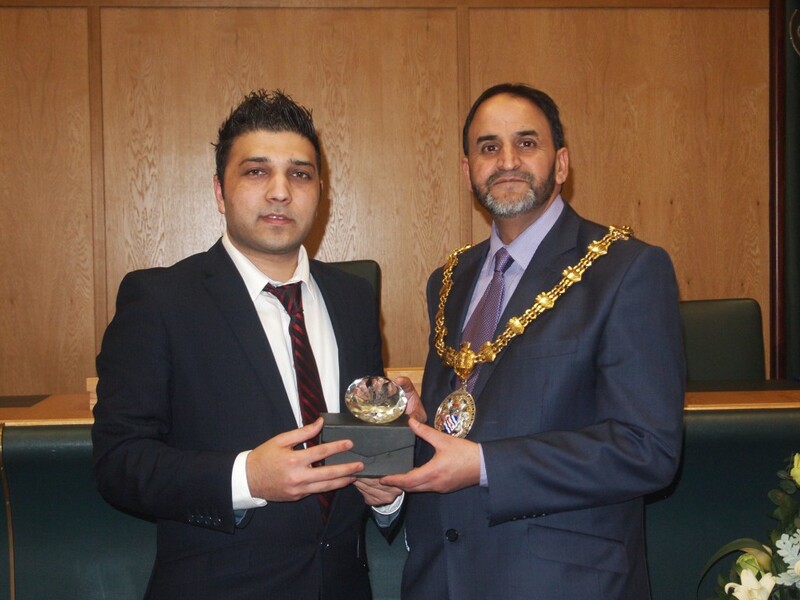 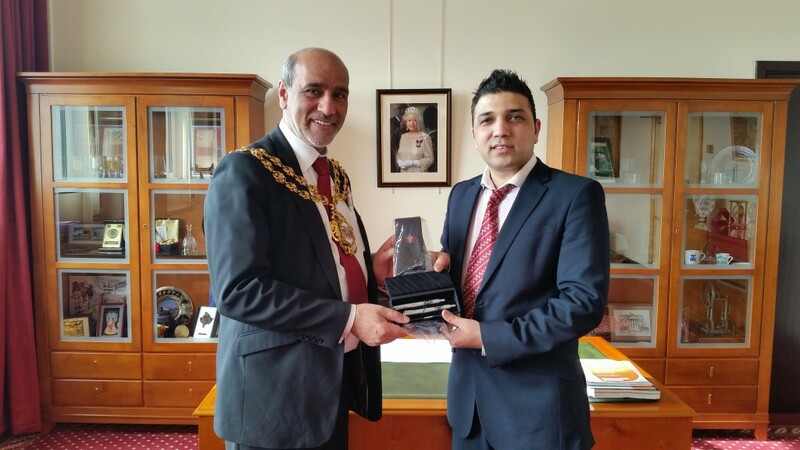 Author Syed Kashif Sajjad Presented the Mayoral Year 2014/2015 to Mayor Cllr Munsif Dad and Receiving Award of Appreciation. 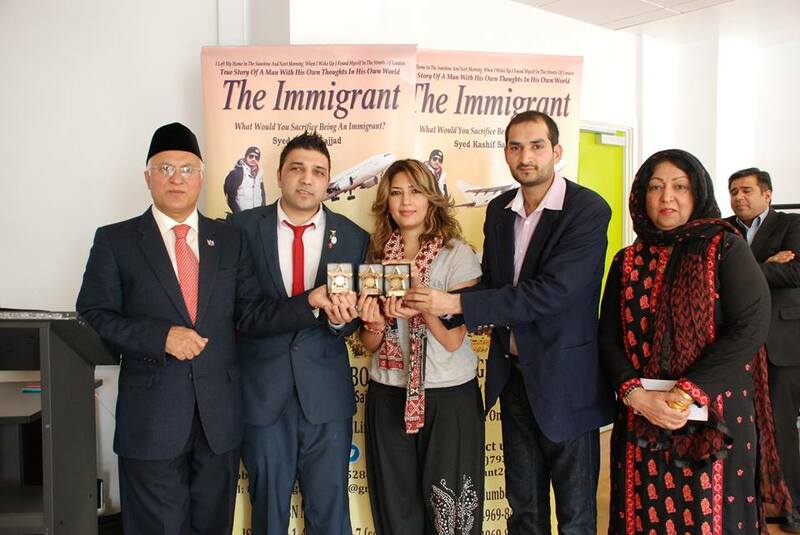 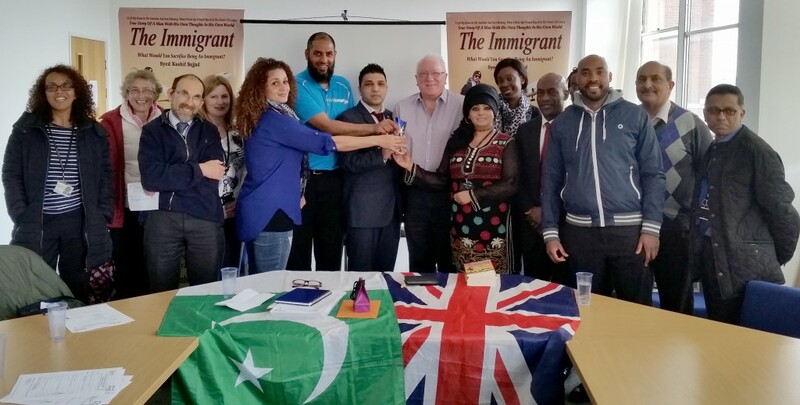 Thank you to Cllr Abdul Khan, David, Helon, Cllr Noor Dad for the Support during this Project. 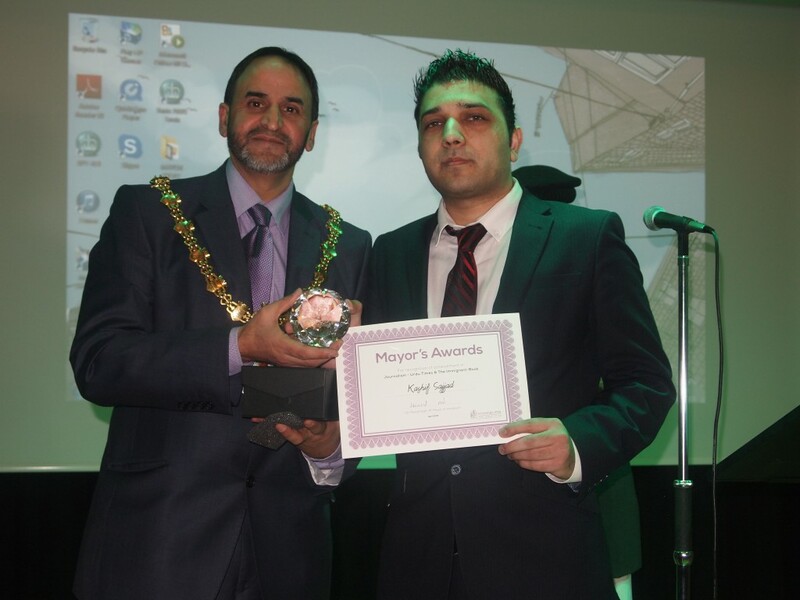 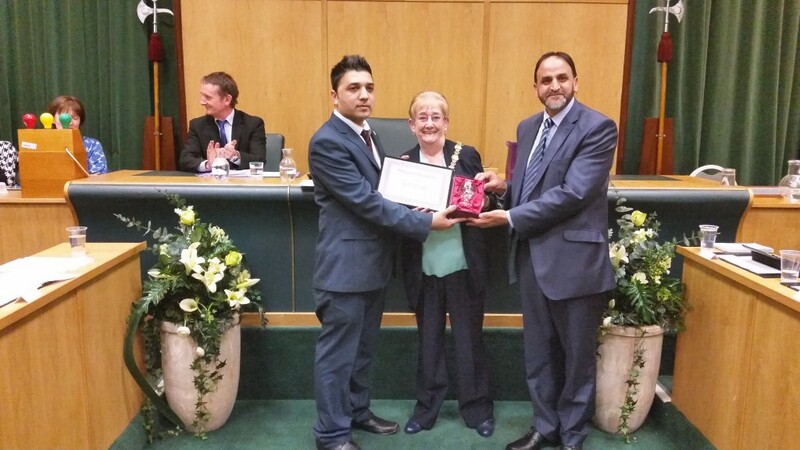 Thank you to Mayor Cllr Munsifdad for the Appreciation Award for writing Mayoral Year.